Whatever your needs, extend your living space and bring the garden into your home. 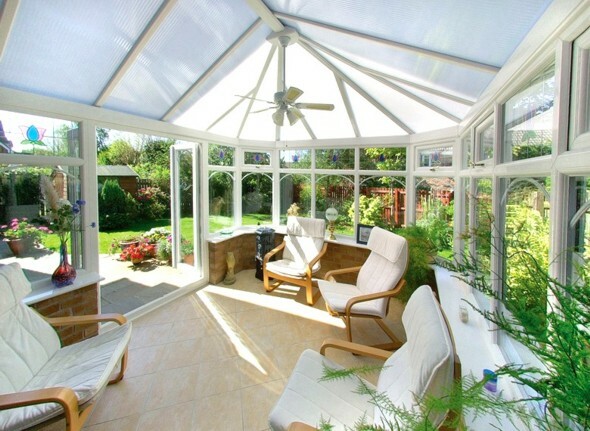 A Conservatory, Sunroom or Orangery is a great way to increase the footprint of your home, create extra living space and also add value to your home. It’s a great place to bring the outside in and enjoy your garden all year round, whatever the weather. 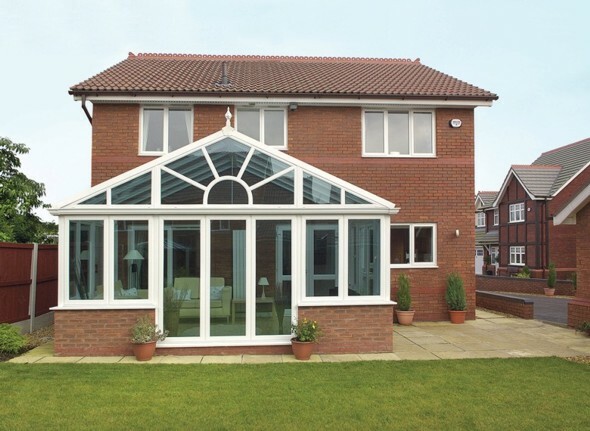 We can help you design, plan and configure your new extension with our vast knowledge and expertise. We are always happy to discuss your requirements and ensure that the process is simple, trouble-free and as unintrusive as possible during the building works. 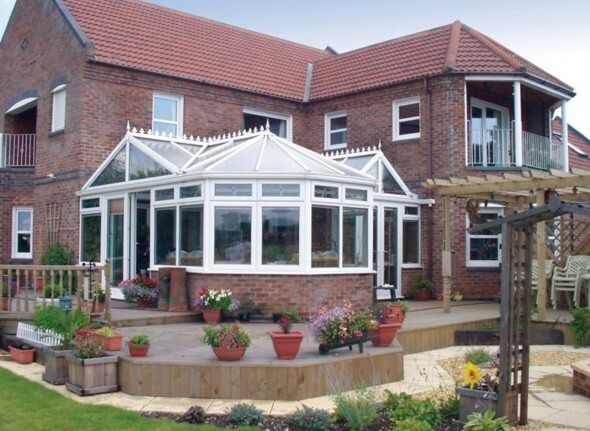 Here we have a generalised selection of conservatory types but of course, there is no end to the possible designs and configurations available and we are very happy to help you with any bespoke requirements you may have. 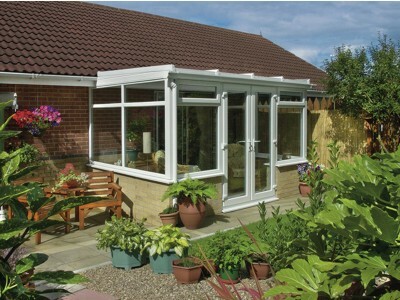 A typical conservatory design, very stylish and versatile lending itself to placement nicely on the back of your home. Usually adorned with decorative finials and cresting, the most noticeable feature of a Victorian style conservatory is the 3 or 5 facet bay. The feeling of height and space with a Gable type conservatory is due to the imposing front elevation allowing as much light in as possible especialy when in a south-facing aspect. 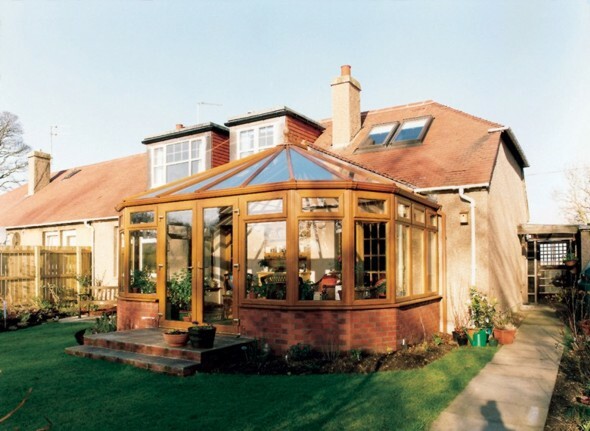 Similar to other styles like Edwardian and Victorian in terms of roof pitch and decorative adornments, the Gable or Gable-End conservatory is usually designed with a Sun-Burst effect in the frame work of the front elevation. 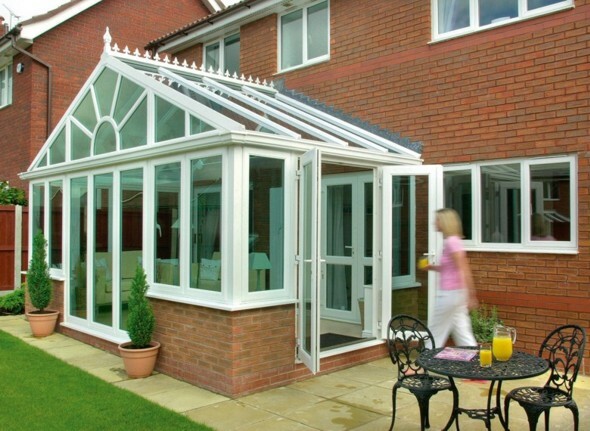 The most common type of conservatory where space is limited is the Edwardian. 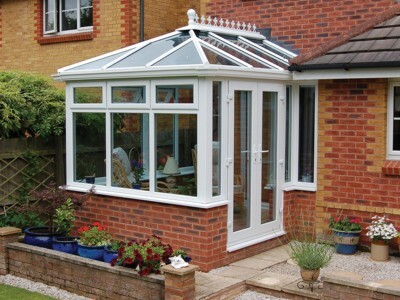 The Edwardian conservatory is compact with its flat sides all round but nevertheless very attractive and affordable extension to your home. Optionally decorated with finials and crestings like the Victorian, the simplicity of this design makes it perfectly suitable for installation in corner situations as well as typical one-wall installations. In the image shown on the left, the doors are on the side of the conservatory but it would be just as easy, and cost no more to have the doors on the end wall. The choice is always yours! 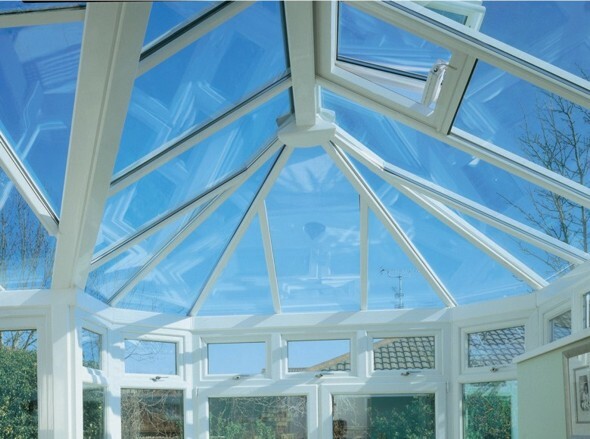 Sunrooms generally have a low-pitch roof to avoid an extension which is too imposing to the surounding buildings. Typically, its height would not exceed that of the height of the eaves of a bungalow for instance. 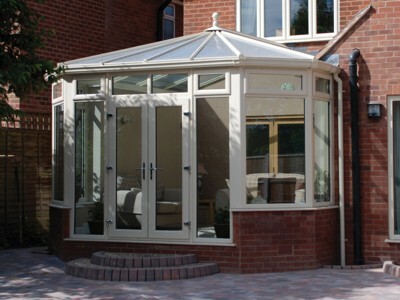 The lower height of this type of conservatory doesn't affect its use of course, its a modern style that enjoys pure lines and is often referred to as Lean-To or Mediterranean style. 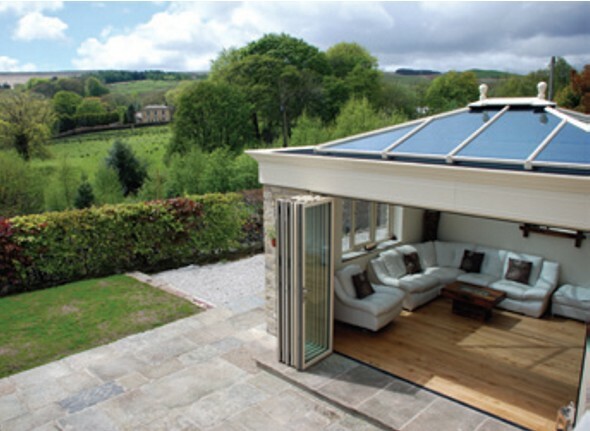 If you would like something different, an Orangery may be the thing for you. 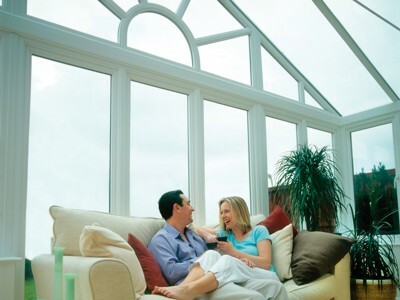 Orangeries are similar to conservatories except that they have solid walls to their exterior. They also have a slightly different roof structure as can be seen from the image to the left. 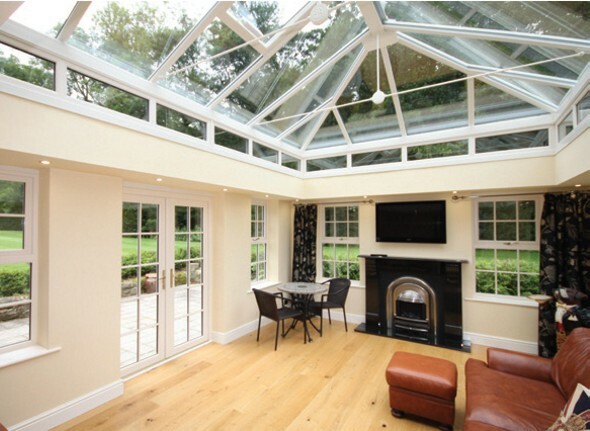 Orangeries still provide all the benefits of a traditional conservatory by letting in a wealth of light due its copious amount of glass in the roof. Please speak to us if you would like further information on this luxurious style of living. A Word or Two About Planning - We handle it for you! Although planning permission has some basic general prinicples, every borough council has their own definitive set of rules about planning and so it is important that we know what the rules are in your area. For this reason, we have to be sure that the correct planning permissions are obtained before we build your conservatory or orangery. We pride ourselves in being very knowledgeable about planning requirements and building regulations so we undertake to obtain all the planning permission neccessary on your behalf.